This is really stupid, especially in today’s world. I mean I understand that Windows is THE dominant operating system (unfortunately.) But this is just, errm whats the word, ahhh yes PATHETIC! What about the other 10% non-Windows users? 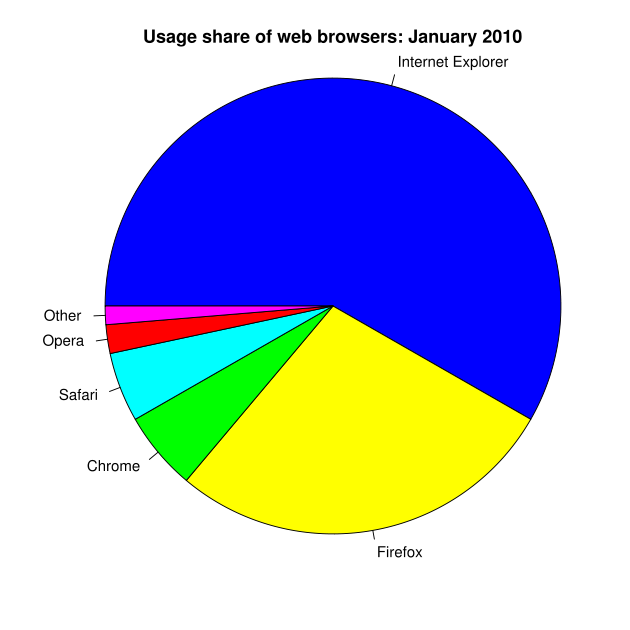 Need I remind the Mission that at least 40% of users do not use IE? What kind of long-term strategy does a government agency have when it launches a website that works exclusively with Internet Explorer, when its common knowledge that the browser’s numbers has been dwindling since 2005? Its not like we have an option. Internet Explorer cannot be installed on Macs or Linux without some sort of hacking or virtualization. In reality, when they first started building this “egov” system, they didn’t really develop it solely for Internet Explorer. When they first launch I was able to access it using Firefox. But apparently, it was too buggy for non-IE browsers, so they just locked everybody out. Now that I think of it, I will try changing the user-agent in Firefox to IE and see what happens. Will update. Next Post My first couchsurfer I show around Boston. Alex from France. Have you tried it to access sambaonline? 1. I don’t think you actually need a plugin to do that in FF. You can change the user-agent via the about:config page.2. Unfortunately, this is not an uncommon situation. I think that the officials in Electronic government are a group pf ignorant people,we are in Egypt have the same problem, i have a hard time getting my sister grades from an Egov site. @lwallan Thats good to know. I really don’ t know who they hired to build this mockery of a website. But all I know is that they should be fired. @Fahad I am on Ubuntu too. 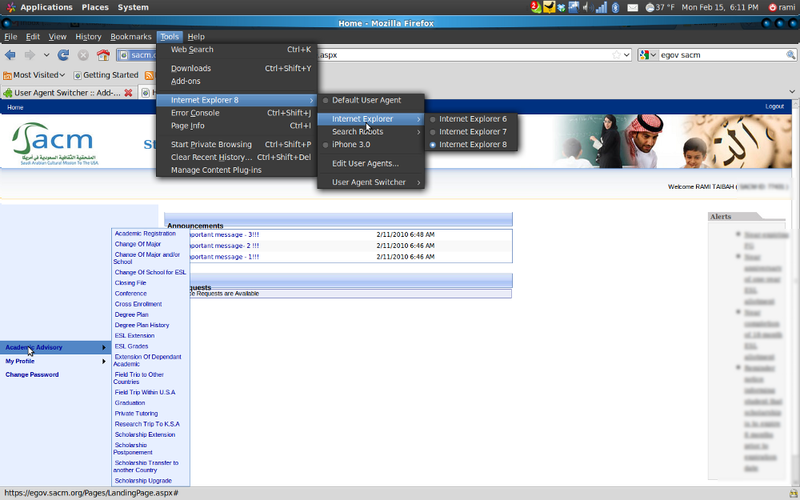 I could log on using FF + A switcher agent add-on. You could see your messages and navigate the site. However, iirc, you can’t attach a file. Not sure how many requests without an attachments one can raise. Even though I have IE8, I cannot open it. What is wrong? they are fucked up I tried to requist a tecket I could not even open the page and if I open it ,, it gave me a blank page . what a crazy system and people ??? ?if u guys know how to requist a ticket please tell me ?? ?